As for the Mars, it has quite long cycle – approximately 22 months. It rules our motivation, impulses, desires and temper and influences our work for two years. For instance: when Mars begins into its starting position, we feel renewed, ready to work and create and generally are highly motivated for actions. This motivation will change through particular positions of Mars' cycle, getting more or less intense. Jupiter's cycle is 12 years. So, Jupiter stays at one sign for one year. Each 12 years in our lives we experience a Jupiter return, which means the return of the Jupiter to the sign during which a person was born. Every person experiences Jupiter's return around 12, 24, 36, 48, 60, 72 and 84 years of our life or in between of these numbers. The return of Saturn happens when we are at our early thirties or 28 years which means that Saturn's cycle takes about 28-30 years. 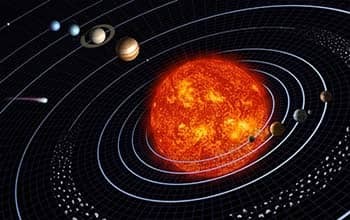 Saturn is related to the flow of time. To the time we are grown up, experienced, developed enough and know how our life should look like. During the major points of Saturn's cycle we need help and we get it, we want to create something real for the first time in our lives, we finally find the area of self-expression and we don't lie to ourselves anymore about our inner feelings and fears. Saturn helps to direct our emotions on the right actions. As soon as Saturn is left behind our back it is time for long-playing planets that move even more slowly. They are: Uranus, Pluto and Neptune. The influence of this trinity shows how we cooperate with the whole generation. Uranus is walking time bomb, orbits 84 years in total through all the signs which equals to 7 years in each one. During the peak moments of the cycle which happen on the 21st, 42nd and 63rd year of cycle, Uranus makes people concerned about issues or individuality, self-realization and in terms of the planet it leads to tangible changes. Neptune's cycle is approximately 165 years, so it is a host of one sign for 14 years. It's pretty long. Neptune is a connector of people's yearnings through the life. It represents the influence of unconsciousness on the society and the subtle thread that ties two people in the continuous flow of events. Pluto's orbit is unstable, moving differently in each sign and generally taking 248 years to complete the full zodiac circle. Pluto symbolizes the society, flexibility and instant changes both global and personal.